Interesting interview. Well done. I’m a big Brady fan and would love to hear more from him. Thanks. Not sure if we are talking about the after episode show or not but I just watched it and I’m a little creeped out especially when he does the “do over” and he said I need to prove to Robin that I LOVED her , that’s past tense typical the mind will tell it’s true feelings, so I’m curious, how many of these women does he really love and is that fair? I really enjoyed this conversation. It is really interesting his faith journey and his honesty is informative. I love u guys so much! I want to thank you guys for not selling your souls for fame..
I’m really impressed with Brady’s and his family’s journey . I just think it’s important to point out that if they’ve been living and as he said programmed since birth to live in this family situation obviously it’s going to be the easiest for them until they know another way . I guess as a woman I think I just feel so sorry for his wives if they have not tried living another way because if you only have this life to live and you’re stuck sharing a man with four other women and you never had the experience of full and complete love with just one person, I guess it just breaks my heart for them and I hope that they will be brave someday and step outside of their marriage and try to experience love with someone who is loyal 100% To them. The judgment. Please open you mind just a little. If you REALLY believe women are equal to men, then why victimze his wives? You honestly believe that that they’re just completely incapable of independent thought? PLEASE do an episode on fundamentalism and race. I listened to this episode because I saw Brady on the upcoming Sunstone schedule and was curious. The interview was RIVETING. Brady is so clearly a down-to-earth, kind, progressive thinking man. It was completely unexpected, I have to say. His experience at the Wilderness camp is one I will never forget and will probably go back and listen to (and share with my kids!) again and again. Looking forward to hearing his presentation in Boise this weekend. Thanks so much for this enlightening episode. I disagree with you, Lindsey, when you said “You’re converting your wives to feminism”. I don’t think he was doing that, and although you probably just accidentally misspoke it’s an interesting thing to say. He may have prompted them to change their religious affiliation, but how can anyone say they didn’t already live and practice their own version of feminism? I know you’re done with the Year of Polygamy series, but I think not including interviews with his wives is a serious problem. 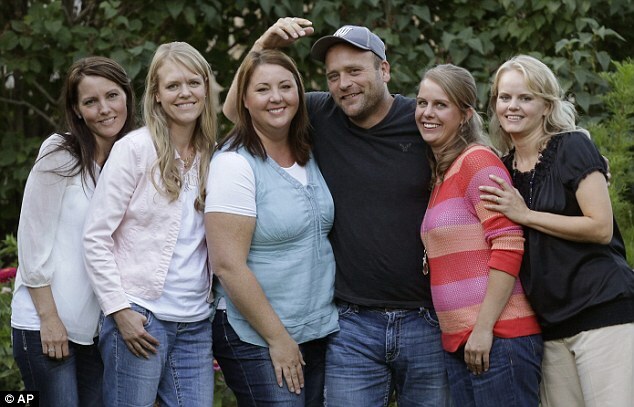 Talking to him about polygamy is GREAT, because he has a unique perspective and does a great job of communicating it. It seems to me that speaking about feminism and polygamy ought to include speaking to them and hearing them speak for themselves. I REALLY liked hearing his answer to the idea of true polygamy in the dictionary sense, where the women have other spouses. I did not like the way the husband in “Sister Wives” talked about it, the way he denigrated the idea as mere distasteful nonsense. When he did that, he also dismissed his wives’ feelings and experiences with no acknowledgement, and that offended me. It seemed like he couldn’t give any time to simply thinking about it from their perspective, or considering himself going through the effort they put into the experiences that gave them that perspective. I felt Brady truly thinks about what his wives go through on a day-to-day basis and on a cumulative basis. I got the feeling he does that for his wives, and for people he’s never even met. Thank you for doing this interview!